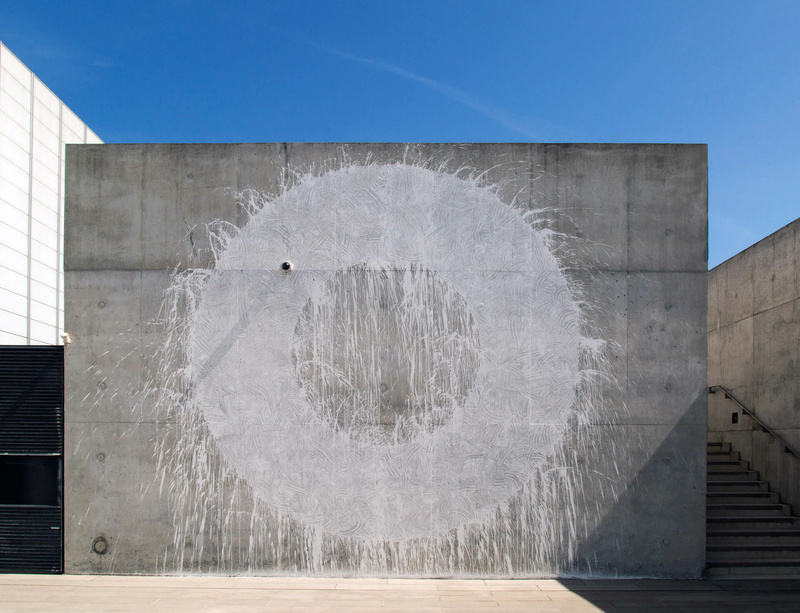 The exhibition 'Seeing Round Corners', at Turner Contemporary Margate from 21 May until 25 September 2016, explores the ways in which artists have responded to or incorporated the archetypal phenomenon of the circle, the disc or the sphere in their work. As one of the simplest geometric figures, the circle is subject to huge variation, in nature and in art, and this exhibition considers the ways in which artists have gravitated to this universal and recurring form, and to the very idea of 'roundness', through a variety of processes and media including paintings, sculptures, film and photographic, alongside design objects and historical artefacts. As Vincent Van Gogh said: "Life is probably round." Curated by artists David Ward and Jonathan Parsons, with Turner Contemporary, the exhibition includes work by Marina Abramović & Ulay, Roger Ackling; Carl Andre, David Batchelor, Paul Cezanne, Ian Davenport, Marcel Duchamp, Barry Flanagan, Ceal Floyer, Mona Hatoum, Barbara Hepworth, Patrick Heron, Rebecca Horn, Runa Islam, Anish Kapoor, Richard Long, Christian Maclay, Paul Nash, Ben Nicholson, Gabriel Orozco, Lucie Rie, Bridget Riley, Lindsay Seers; Mark Wallinger and J.M.W. Turner. Image: Richard Long, Ebb Tide Circle (2016).